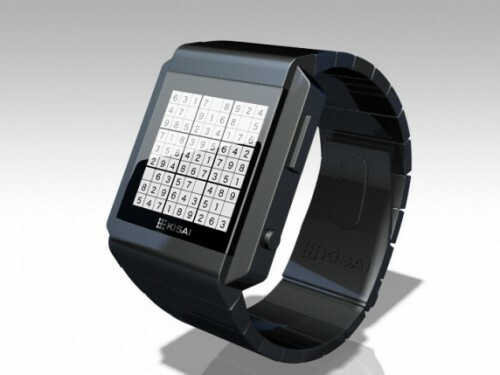 The Sudoku Watch Can Never Give You The Right Time | OhGizmo! The above watch is a concept over at Tokyoflash, and like some previous such concepts, it might one day make it to market. This one however seems to one-up all of the Japanese company’s designs in terms of unreadability. See, to tell the time, you actually have to solve a Sudoku puzzle: each missing digit is the time. So by the time you’ve solved it, it won’t even be the time it was when you started trying. We’re not sure at this point how they plan to deal with this, or even how long it can take to solve a Sudoku puzzle because numbers scare us. But you can head over to their design blog and give you input as it might actually affect whether and how the watch is developed. 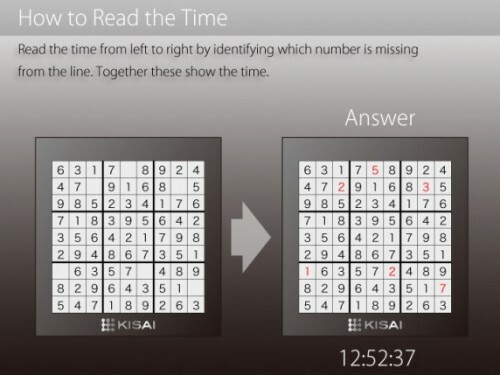 This is actually probably the easiest of any of the watches they’ve ever suggested, sudoku is a logic puzzle with simple rules, every box must contain the numbers 1-9, so all you have to do is look for the missing digit and ta da.